Premium travel products like high quality luggage, airport lounge access, and TSA Precheck can seem like unnecessary extravagances when you’re considering purchasing them from the comfort of your own home. But if you travel with any regularity, you know full well that the small conveniences they provide really add up during a stressful day of travel. 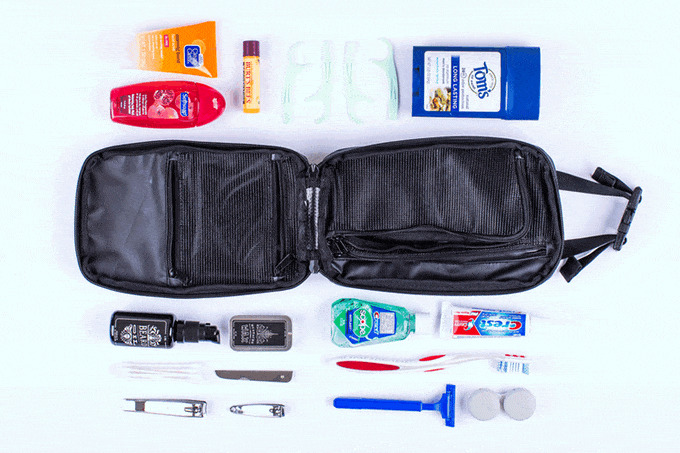 The same is true of your toiletry bag, still an afterthought for many an otherwise experienced traveler. Most people tend to stuff everything in a ziploc bag, or even (gasp) loose in the outside pocket of their suitcase. And most bags that do exist are way bigger than they should be, while still offering only a paltry few organizational options. Gravel’s Expeditioner Bags may just be the answer. Available in two sizes, the bags are made from a premium waterproof material, and include a bunch of thoughtfully designed pockets inside, including one that’s perfect for a stick of deodorant, one that can fit your toothbrush (or your Philips OneBlade with the blade removed), and even a leak-proof pocket for liquids that will contain any mess if they explode en route.